The Agency presents here the second volume in the series, which includes wider geographical coverage and is based on data from 27 registries in 14 countries in Africa, Asia, the Caribbean and Central America. The calendar period of registration of incident cases for the present study ranges between 1990 and 2001. Data on 564 606 cases of 1–56 cancer sites from different registries are reported. Data from eleven registries were utilized for eliciting survival trend and seventeen registries for reporting survival by clinical extent of disease. 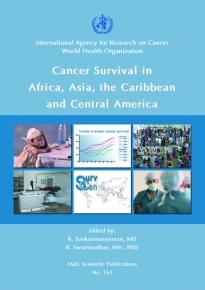 Besides chapters on every registry and general chapters on methodology, database and overview, the availability of online comparative statistics on cancer survival data by participating registries or cancer site in the form of tables or graphs is an added feature.